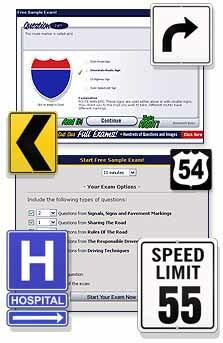 DriverExams.com online practice exams are automatically made available to you after purchase. Our online exam testing engine gives you the flexibility to take your practice exams when you want, how you want. Your ExamCenter includes access to all your previous exams, with the opportunity to review your exam. Our system provides you with the areas you need to sharpen your skills in, along with a references to where you can look.